There may be light at the end of the tunnel for Bolton's bleak financial situation, with the Championship club hopeful a takeover can be announced next week. Wanderers' state was termed "increasingly perilous" by advisor Trevor Birch on Tuesday after it was revealed Neil Lennon's squad had yet to receive their wages for the month of November. Long-time owner Eddie Davies has elected to pull the plug on his financial backing, but is prepared to wipe out £185million of debt owed to him as part of any deal which would see the club change hands. 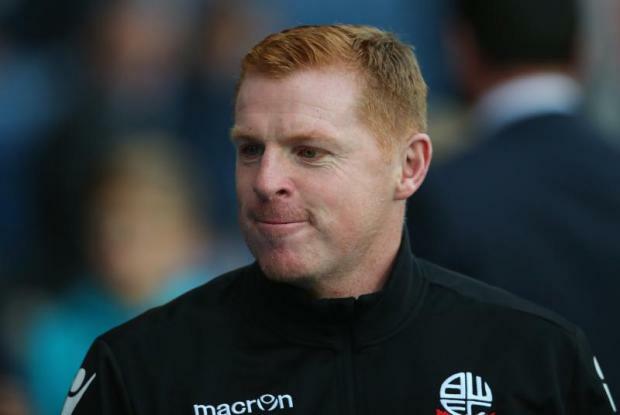 And despite fears of administration looming at the Macron Stadium, Lennon was able to provide a positive update on the crisis on Thursday morning. "I've spoken to Trevor and a few board members this morning and there seems to be some green shoots of recovery now," said Lennon. "There has been three, maybe four interested parties, and I think it's a case of first past the post really. Obviously there are a lot of guarantees to be made, a lot of negotiations to go on, but it's looking healthier than it was two or three days ago. "Trevor's a lot more confident now that something will get resolved. People are talking to solicitors, it's basically a question of who can come up with the money first. He seems pretty happy that something will get over the line. "The board, Trevor, are hoping to get new investors in and, hopefully, an announcement (will be) made sometime next week. That will, hopefully, ease the alarm of everyone around the place." There had been speculation that Wanderers could be plunged into administration as soon as Friday if a prospective buyer was not found, yet Lennon dismissed the suggestion that they would go down that route and incur a 12-point penalty that would wipe out their entire total. "I don't think that's the case at all; it's tomorrow," he noted. "Trevor's said that's just not going to happen so it's very good news." Birch's update on Tuesday made for grim reading but Lennon, whose players attended a meeting with a PFA representative on Tuesday regarding their financial situation, has been encouraged by events since. "I think that scenario has changed a little bit now," he added. "Over the last 24 hours or so, things have improved in that aspect. Basically I think it's a race in terms of putting the money down and putting a plan in action." One party who is known to be interested is the Sports Shield consortium, which is lead by ex-Wanderers striker Dean Holdsworth. And earlier this week Bolton boxer Amir Khan admitted he would be willing to provide financial aid to that party. "I'm prepared to put some money into the consortium and Dean Holdsworth is also prepared to put some money in," he told the Daily Mirror. "The consortium are holding talks and hopefully a deal can be done. The wage bill has come down and the club's future could be bright if a deal can be done."